Hi everyone, yesterday I rearranged my room. All I did was simply unplug my PC with the power off, and moved it gently to the other side of the room. When I went to start it back up with everything plugged in correctly, my monitor didn't do anything. The light just stayed amber. My PC definitely booted correctly, and I tried literally everything to test that the problem was not my monitor, nor my cable that was messing up. I opened my PC and checked it out, and all I see is the little box where the DVI cable plugs into. It is still in place and not loose or anything. So I am at a complete loss as to what it is. Does anyone have any idea? I think it will just have to be taken to the PC shop but I figured I would ask here as I can't take it to the shops for 2 days anyway. Have you tried another monitor or connecting up to a TV and did you try the integrated graphics? Other monitors do not work with my PC. I am not sure what you mean by "did I test the integrated graphics", though. 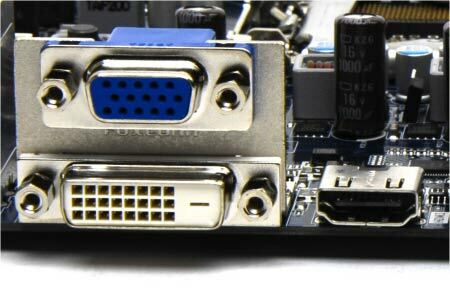 So does you computer have a graphics card then a normal port VGA or DVI port like this (See picture) but probably wouldn't look exactly like that. Yeah I believe it does. I have an Nvidia 6300 I believe. Take from that what you will. Try plugging your monitor into that and see if it works then update the drivers if you can. Hi, AdeHHRR, you can check several things, 1. check in the back of your cpu does not have more than one video output, 2. check the side of your monitor cable connector for any bent pin or target if so align it with some electronic tweezers again. Three. Try to get into failsafe mode if your computer is Windows, and there being proof settings with lower resolution (eg VGA 800 x 600) and hence sees increasing to achieve correct. Hopefully you server has this comment!